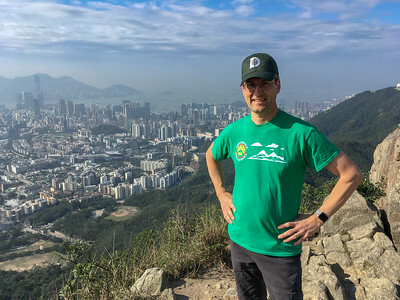 A quick trip to Hong Kong to visit the Chinese University of Hong Kong (CUHK) allowed me to explore the city a little, to hike to the top of Lion's Rock, and to visit Wang Tai Sin temple. 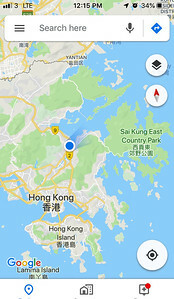 The location of CUHK and my hotel in Hong Kong. The city center is actually on Hong Kong island. 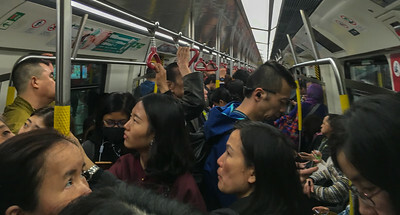 MTR metro riders in Hong Kong. 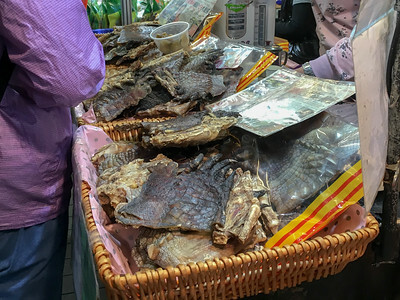 Dried crocodile claws in a market in Hong Kong. 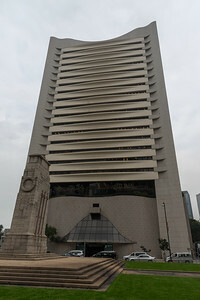 The Hong Kong Club, the oldest exclusive club in Hong Kong. I had dinner there with Keith Noyes '86 and his friends. 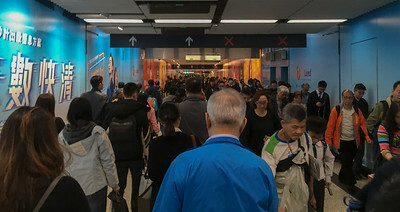 MTR metro station in Hong Kong. 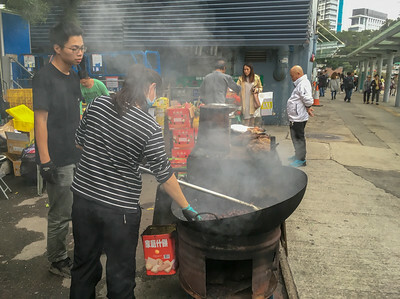 Vendor of roasted chestnuts at University station in Hong Kong. 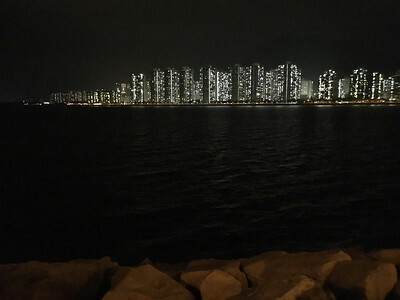 Night skyline in the University area of Kowloon, Hong Kong. 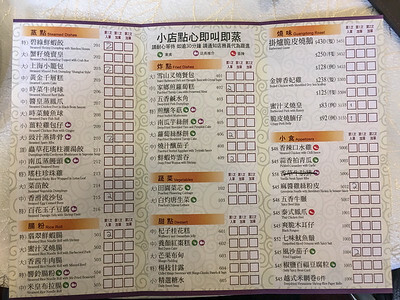 Dim sum menu at CUHK restaurant; Hong Kong. 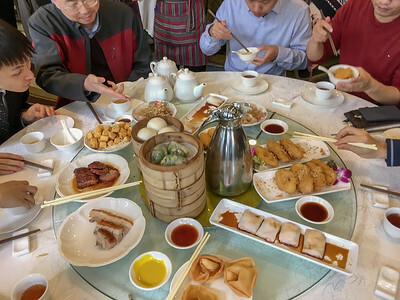 Dim sum lunch at CUHK restaurant; Hong Kong. 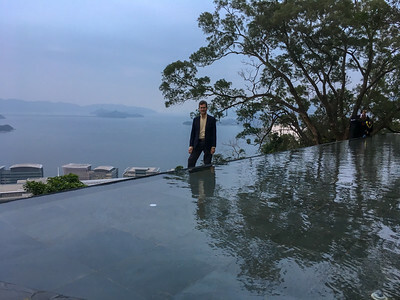 David stands beside an 'infinity' fountain at the top of the CUHK campus, overlooking the harbor. 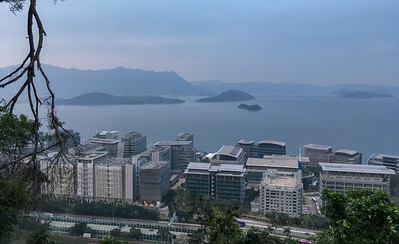 View from the top of the CUHK campus, overlooking the harbor. 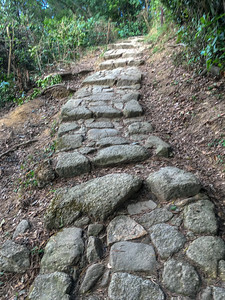 Trail to Lion's Rock includes many stone-paved steps; Hong Kong. View of Hong Kong from the top of Lion's Rock. David and a view of Hong Kong, at the top of Lion's Rock. 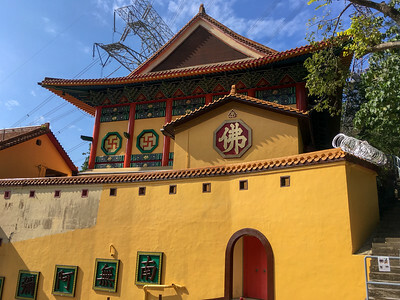 A temple along the road down from Lion's Rock; Hong Kong. 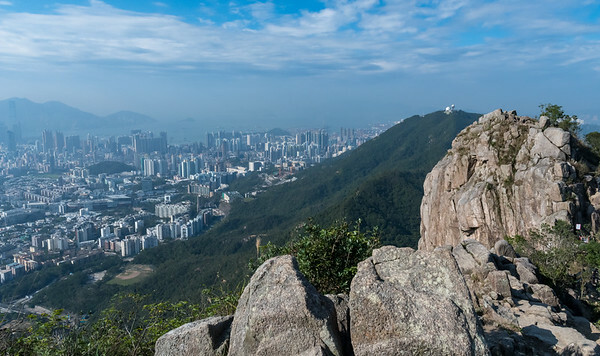 Panoramic view of Hong Kong from the top of Lion's Rock.